Saturday, September 8, 3 - 6 p.m. Host committee: Hilton Als, Pena Bonita, Eva Buchmuller, Douglas Crimp, Claire Distenfeld Olshan, Rachel Harrison, Joan Jonas, Michael Krebber, Joshua Lubin-Levy, Bob Nickas, Jacob Perlin, Jay Sanders, Gwenn Thomas, Lynne Tillman, and Rirkrit Tiravanija. 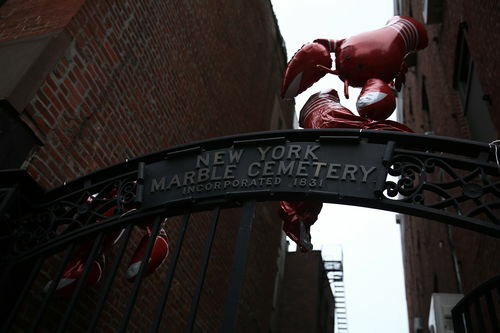 Organized by Artists Space and Kembra Pfahler. 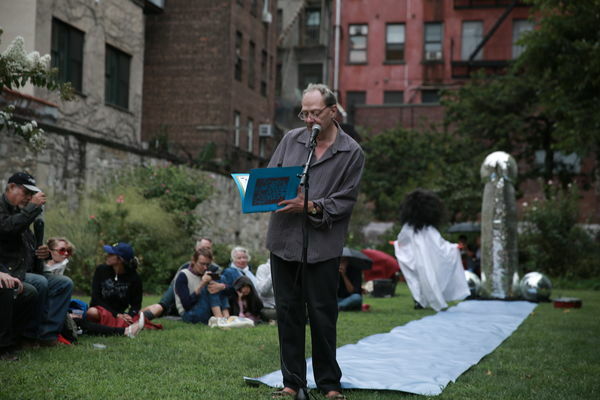 Edgar Oliver reading at Marble Cemetery ©Paula Court Photography, 2018. 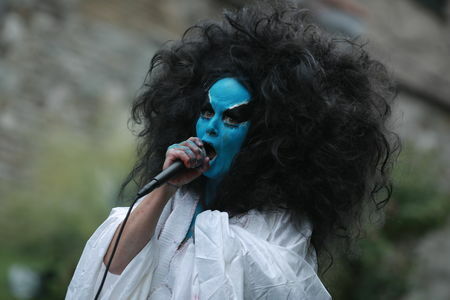 Kembra Pfahler performing with the Girls of Karen Black. ©Paula Court Photography, 2018. Kembra Pfahler ©Paula Court Photography, 2018.